Let’s face it when you think of best surfing towns in Europe does not jump to mind as a hot surfing destination, you’d probably think of Hawaii, South Africa and California but believe it or not Europe does have some worthwhile surfing towns. This surf town made it onto the National Geographic’s list of top 20 surfing towns in the world! The water may be cold and it may rain a lot but seasoned surfers love to take on the challenge of this surf town’s sea. Surfers call it “Europe’s cold-water Indonesia” and a “surfer’s paradise”. Swells come in from the North Atlantic and crash onto the beaches, reefs and rocks of this ancient fishing village’s rugged coastline. One of the waves that swells here even has a name – The Peak and the coast offers stretches of beach suitable for experienced, intermediate and beginner surfers. Situated in the Biosphere Reserve of Urdaibai at the foot of Mount Katillotxu, Mundaka in an ancient port town in the Basque country. The town is renowned for its surfing as high waves roll in from the Bay of Biscay and hit the town’s rocky coastline. Many surfers and travelers take ferries from UK to Bilbao, and either base themselves in Bilbao and take day trips to Mundaka, or continue from Bilbao with the bus to Mundaka. There is a direct car ferry between Bilbao and Portsmouth, and here are the Bilbao Ferry Timetables and Prices. There is a natural sandbar that is formed by the estuary of the Errekatxu stream flowing into the sea, this makes hollow waves, perfect for adventurous surfers. The World Championship Tour of Surfing has been held here and world names in the surfing world have surfed here like Bobby Martinez and Kelly Slater. Another town which is on the National Geographic list and often called the “birth place of European surfing”. In the South West of France the water is thought to be the warmest in Europe and there are two favorite surfing beaches – La Cote des Basques and La Grande Plage. 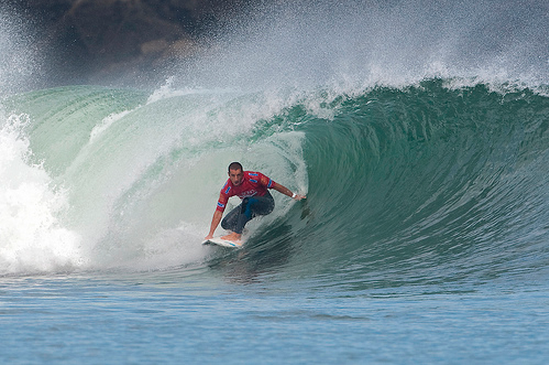 There are a number of annual surf competitions here as well as the Biarritz Surf Festival. The quaint town has a blend of French elite culture and laid back surf culture. The town is famous for Napoleon III’s visit in 1854 and the palace he subsequently had built here. Today the palace is a fancy hotel facing the sea. September to November are the best months to surf here when the swells rush in from the Atlantic but the surf is more suited to intermediate surfers rather than experienced pros. Another surf town on the National Geographic list of top surf towns of the world. The romantic town has many cozy restaurants and bars, it is in the heart of the Basque country and has a reputation for cultural events and venues. There is a beautiful Old Town and a gourmet food culture. The town at the mouth of the River Urumea is surrounded inland by mountains and forests. The best time to visit is from June to November when the water is warmest and the waves high. Within convenient distance from northern Spain’s ferry ports, you can easily reach San Sebastian by taking one of the many ferries to Santander or Bilbao, and then continue by bus to the surf city. There are many benefits with ferries to Spain – book a ferry to Spain and chances are you can bring more surf boards along than if you fly, sometimes without any extra cost! San Sebastian’s best known beaches are the centrally located 2km long Concha Beach in Concha Bay; La Zurriola is the most popular with surfers and Zarautz Beach which is a long stretch of golden sand. The famous beaches of Newquay are at the foot of rugged cliffs, there are eight beaches within walking distance of the town. Watergate Bay Beach gets large swells rolling in on the 2 mile long beach; Mawgan Porth Beach is wide and popular with families and surfers; Holywell Bay Beach can reach a mile long at low tide; Towan Beach is centrally located and is best for beginner surfers, these are only a few of the many beaches in the area. There are world class waves at Little Fistral near Pentire Head and North Fistral has some of the best waves in the country. Visitors to France will be spoiled for choice of excellent beaches and beautiful beach towns, here is a short list of some of the best. If you want to see and be seen this is the place. The town boasts celebrities and beautiful people as well as everything that kind of person could want. Situated along the Cote d’Azur the beach town was made famous by Brigitte Bardot. Don’t be surprised if you see a film star stepping off one of the huge yachts in the impressive harbor or dining in one of the exclusive restaurants. Apart from the quality stores, hotels and restaurants the beach itself is a wide expanse of soft sand looking onto crystal clear water. Taking a break from the more obvious Cote d’Azur this quaint historic town is up against the border with Spain in the Basque country, and even the street signs are in both French and Basque. Visit the fish market, take a half-day fishing excursion and then sample some of the day’s catch in one of the local restaurants. Visit the church where Louis XIV married Maria-Therese of Spain in 1660 and see the historic architecture in the town including Louis XIV’s former home which has been furnished with period furnisher. Don’t forget the wide sandy beach which is perfect for families. The French Island boasts some of the nation’s finest beaches and beach towns whether you’re looking for secluded coves or expansive sandy beaches. Calvi has Corsica’s largest beach spanning 8km and is overshadowed by the hilltop fortress which rises above it and has mountains as a backdrop. The town is also known for its quality cuisine made with fresh produce from the nearby mountain villages. Calvi is thought to have been Columbus’ birthplace and apart from the history the town has luxurious modern amenities and attracts the rich and famous. For a day trip travel off shore to the UNESCO site of Scandola where you can see frolicking dolphins. Along the French Riviera, between the Bay of Cannes and the Baie des Anges the town has both an old historic part as well as modern beach town amenities for the mainly French tourists. The ancient port of Antibes and the Fort Carre have a rich history, the town has been home to many world famous artists (visit the Picasso museum) and writers and the beach offers all the sun, sea and fun that tourists could ask for. You can meander through the old town, visit the Marche Provencal (covered markets) where you can find fresh produce as well as freshly caught fish. There are also plenty of boutique stores and elegant restaurants and hotels. Located in Brittany this beach resort has been a popular travel destination for decades, it has the charm of an exclusive seaside town from the early 1900s. It has the longest beach in Europe at 12km and affluent visitors and residents have established a number of sophisticated restaurants, attractions and hotels. There is a casino, night clubs and one of the most beautiful bays in Europe. Taking a vacation to a beautiful and semi-remote surf spot seems dreamy and often out of reach for most of us inland boarders. While it may seem more possible to take frequent trips to the local coast to catch weekend waves during the season, there are actually a few lesser-known “swell” spots that are more accessible now than ever before. Trade in a couple of regular weekend road trips for a week or two at one of these outstanding and affordable vacation wonderlands. Hongo Reef, also called Puma Reef, is a short ride from the town of Gigante. Because of current economic conditions, U.S. visitors can find flights to this area of Central America for very low rates. This reef is for experienced surfers and SUP boarders only, so amateurs beware. You can live or vacation here for about 10 U.S. dollars per day, if you plan and budget carefully, and spend most of the day riding beautiful swells and eating homemade Nicaraguan cuisine. Water in this area is swimmer-friendly year-round, so venture here when your local water is too cold. Spanish skills are a major plus! This is Ireland’s surf Mecca. Your most serious expense here will be a plane ticket (unless you live in Europe); however, it is a small price to pay for cheap lodging, cheaper surf and SUP equipment and a chance to ride some of the greatest year-round waves in the world. The best boarders visit Bundoran because, while it may not be a palm-tree-typical tourist paradise, the wave conditions are supreme. And if you already speak English, you will be able to communicate with the locals. This North Coast surf spot is best from September through March. The water is warm and you can find plane tickets to the Dominican Republic during these months for as low as $100. A-frame reef waves range from 100-300 meters, so more experienced boarders can feel free to bring their novice riders along to learn on the smaller waves. Vacationing in the Dominican Republic can range from super-budget hostel living to full-service resort accommodations, depending on your budget and style. 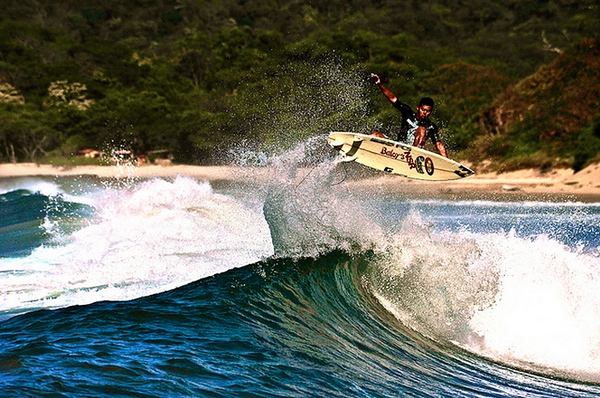 Also enjoyable and nearby are Sosúa and El Batey, short rides from Puerto Plata, for more intermediate-level waves. One of the easiest and cheapest ways to travel with your board is to purchase an inflatable SUP board. These boards are made for traveling, are lightweight, and can roll up into a compact bag, not to mention extremely durable. Treat yourself and take a trip to some of the world’s most breathtaking spots with your best board at your side. When it is time to choose a surfing destination, the mind often wanders to faraway lands, often in the distant southern hemisphere. However, you don’t actually need to travel that far in Europe to enjoy great surfing conditions, not even in places that feel a world away from surfing. Here are 3 of Ireland’s best surfing destinations, which, depending on where you live in Europe, could be just under an hour away by plane. 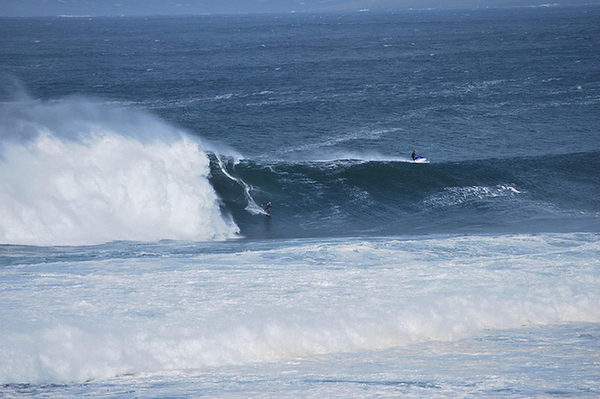 The best surfing in Ireland can be found in and around the north western coast – after all, last year’s Eurosurf competition was held in the area, and for very good reasons. Bundoran is the country’s prime surfing sport – at Bundoran’s beaches, waves are consistent, offshore wind conditions are excellent, and the swell height is almost always over a meter high. The average sea temperature stands at 10°C, so you would need a full-body wet-suit to last more than a few minutes! Bundoran is a laid-back town geared towards surfers, where those looking to take lessons can choose from a surf academy and a considerable number of schools offering everything from beginner lessons to improve weekend courses. If you want to stay in Bundoran during your surfing trip you can reduce your accommodation expenses by taking advantage of the many surf lodges in town that offer discounted “surf and stay” packages. Located in the north west of Ireland, the village of Easkey is blessed with some dramatic geological features, and is a stunning place to stop for any reason, but particularly popular for surfing in Ireland. Easkey is also unique in that it has two reef breaks: Easkey Right and Easkey Left, just under a mile apart from each other. The waves break over the rocks at both, providing surfers with a swift sea surf. Nonetheless, most people agree that Easkey Right is more challenging. Easkey’s fully exposed beaches and continuous offshore winds create the perfect conditions for a demanding yet rewarding surfing practice. Swell heights easily reach 2 meters (7 feet), and heights of 3 meters (10 feet) are not unusual. The Irish Surfing Association recently chose Easkey as its permanent base, so if you happen to be in town, pop into their premises and check the many events they organize throughout the year, they also offer surfing instructor courses, typically during the spring months. Close to the border with Northern Ireland lies the peninsula of Inishowen. 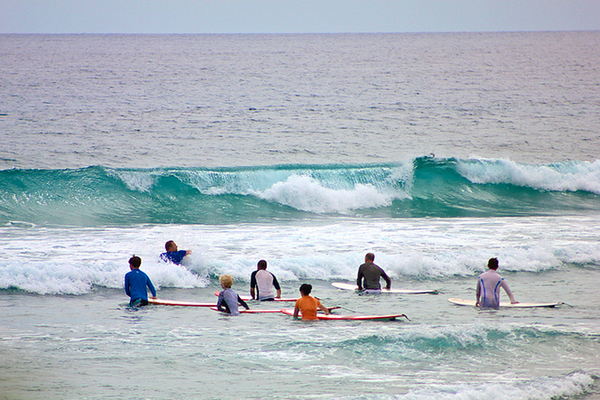 Since the peninsula is encircled by the Atlantic Ocean, the existence of appealing surfing spots is guaranteed. Buncrana, the largest town in the peninsula, is home to a fully insured surfing school that makes the most of Inishowen’s superbly consistent waves. Buncrana’s main beach is Lisfannon beach, a 3 mile-long stretch of sand which has blue flag status. Twenty miles to the west of Buncrana you will find Culdaff beach, a favorite among surfers and other water sports lovers. Here you can expect wave periods of up to 16 seconds, and an average swell height of 1,5 meters (5 feet) – these conditions make of Culdaff an ideal beach for beginners looking to go surfing in Ireland. Before you decide on where to go surfing in Ireland, remember that having comprehensive insurance during your surfing adventure is as important as choosing a location – shop around for an insurance provider that guarantees medical cover, board damage and personal liability.